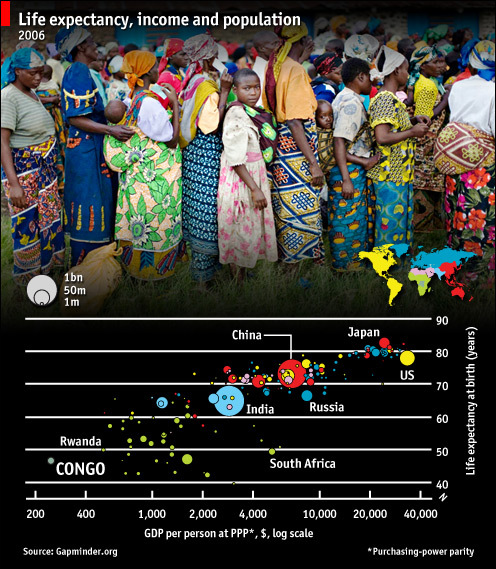 Plus: this graph showing how Congo has dropped to the bottom of the world in terms of health and wealth (click or full size). Over 4 million have died already in this, the deadliest conflict since WW2. As the video shows, it is closely linked to Rwanda, where 800,000 were killed in a 100-day genocide less than 15 years ago.